Keyi Frame Group, established in 2001, is a joint venture between companies from China, Korea and Italy.The Keyi Group in China is comprised of the Guangzhou Keyi Plastic Co. Ltd., the Guangzhou Yafeng Frame Co. Ltd. and the Beijing Ya Feng Shi Jie Co. Ltd.
Keyi Plastic Co. Ltd. specializes in PS foam plastic frame manufacture. Yafeng Frame Co. Ltd. specializes in frames for photography, mirrors and pictures and the Beijing Ya Feng Shi Jie Co. Ltd. is the agent responsible for marketing the products of both companies. Keyi Plastic Co. Ltd. manufactures and develops many types of PS plastic frames which are used in place of wooden frames. The company utilises 10 production lines imported from Korea with Korean engineers responsible for the products. The design of the frames is carried out by the Italian joint venture partners. Products include all types of plastic foam frames for mirrors, photos, paintings etc. The materials are environmentally friendly and can totally replace wooden products. 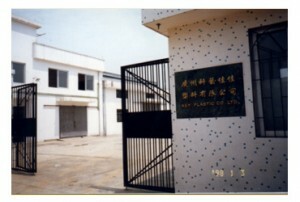 Keyi Plastic Co. Ltd. enjoys a reputation from both local and overseas clients for producing high quality and well designed products. Overseas clients are mainly from Europe and America however, they would welcome enquiries from other countries. Guangzhou Yafeng Frame Co. Ltd. and Keyi Plastic Co. Ltd are manufacturers of similar products. Yafeng Frame produces many types of frames for picture, photographs, certificates, paper-cuts, samples etc. Yafeng Frame has numerous clients due to the high quality of design and manufacture and reasonable prices. Beijing Ya Feng Shi Jie Co. Ltd. is the marketing agent for Keyi Plastic and Yafeng Frame and has a gallery, frame plant and several retail outlets in Beijing. Beijing Ya Feng Shi Jie Co. Ltd also produces a range of modern electronic giftware such as ‘blue tooth’ headsets etc.